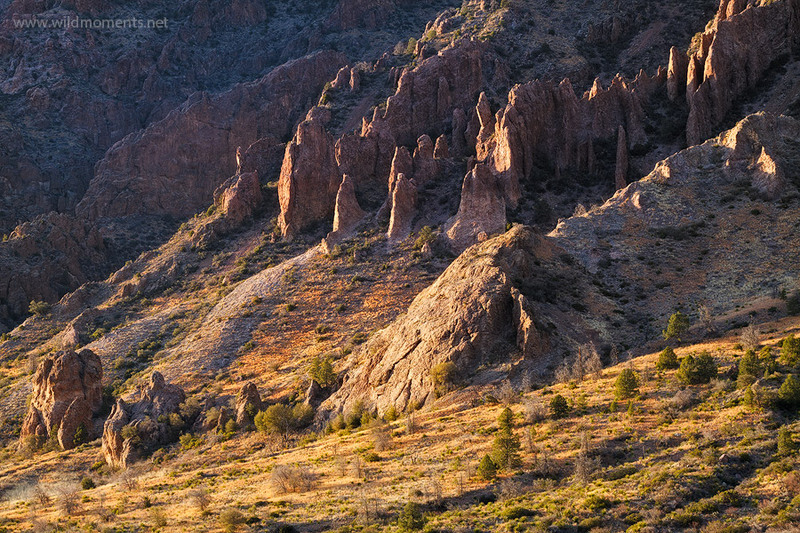 A telephoto lens was used to capture this cross section of part of the inner basin of the Chisos Mountains near Panther Junction, Texas. I was intrigued by the mature evergreen trees and how they mixed with the more classic desert scenery. It is an interesting combination that provides scale. This image was taken about a half an hour before sunset on partly overcast day. Photo © copyright by Michael Greene.